Shadeed Muhammad Periscope User Stats This is Shadeed Muhammads periscope stats website page. This is Shadeed Muhammads periscope stats website page. Shadeed Muhammad created profile on 2015-07-29 Time 21:06:23 and last update profile time is . Shadeed Muhammad total followers is 22848 and Shadeed Muhammad total following is 2 . Shadeed Muhammad twitter nickname is Shadeed_M76. 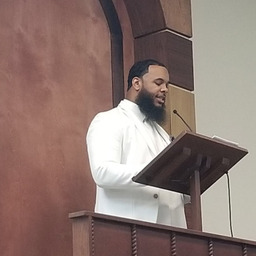 Shadeed Muhammad is CEO of Rawdah Productions LLC, Rawdah Publications, Entrepreneur, Muslim, Author, Community Leader and Speaker on Islamic Affairs for Indigenous Muslims.